The Brit Pub Cwmavon, London Row, Cwmavon, Port Talbot have now been awarded our highly revered Good Food Award for Gastro Pubs – Gold Seal 2019. Our Gold Seal is the highest accolade bestowed by the Good Food Awards and is reserved to those achieving our award for three consecutive years or more. Premises must maintain the same exceptional standards that gained them initial entry into our awards over a three year period. Truly making this achievement the marque of distinction. These premises have demonstrated exceptional levels of food quality, service and value when compared to our industry benchmarks in their category and have now maintained this formidable standard for four consecutive years. 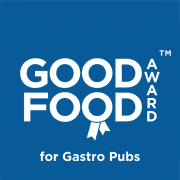 In recognition of this achievement they have been duly awarded our highest accolade the Good Food Award for Gastro Pubs – Gold Seal 2019 | Good Food Award Winners in 2016, 2017, 2018 & 2019. The Brit Pub is a proper country pub with cosy log fires, a choice of 5 real ales as well as guinness, cider, and a selection of wines. Good home cooked food and accommodation aimed at cyclists and walkers enjoying the Afan valley. If you’re looking for a relaxed atmosphere and somewhere to enjoy a good beer and have a good chinwag with your friends this is it. With quirky yet stylish decor and an elegant dining area. The garden is complete & looking fabulous, a peaceful yet tranquil setting against the backdrop of the beautiful Afan river. Lovely food, decor and atmosphere. Well worth a visit. Marvellous food, great service and and beautiful decor. The outside area on a sunny day is awesome. Simply outstanding in all areas . Hard to fault anything ,other than you have to book early to ensure a table. One of the nicest, most attractive pubs we have been to. The beer garden is to die for, it sits at the edge of the beautiful river Avon. 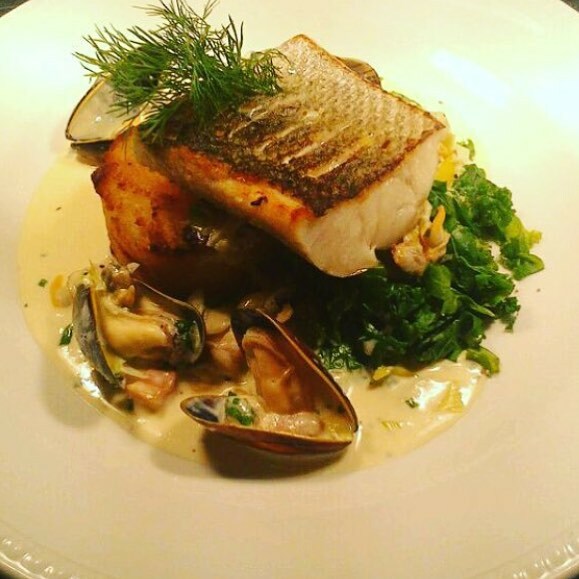 The meals are delicious and beautifully presented and not overly priced. We spent a beautiful evening in The Brit, all the staff were very welcoming to me and my husband. We had fantastic food and excellent entertainment provided by owner Phil on his accordion. Would recommend this pub to anyone. Lovely pub with superb food, thoroughly recommend.